Just a few short months ago, the UFC’s last long-standing champion got unceremoniously de-throned. Demetrious “Mighty Mouse” Johnson had an incredible undefeated run at flyweight. He went on to win a record-breaking 11 bouts against all sorts of challenges. One of these challenges was an Olympic gold medalist wrestler by the name of Henry Cejudo. Mighty Mouse got the win but that did not mean Cejudo was defeated. A few years after their first bout, Cejudo challenged for the title again, and this time beat Johnson decisively. Now, the man who dethroned the longest lasting UFC champion in history is about to treat the grappling world with highly detailed video instructional. Ladies and gentleman, we announce to you the upcoming Henry Cejudo DVD instructional! Asking what the subject of a Henry Cejudo DVD is going to be is completely needless. After all, he is an Olympic gold medalist who dominates everyone in the grappling department. And he is the UFC flyweight champion of the world. Understandably, his upcoming instructional is going to be all about takedowns. What is really unique about it, apart from an Olympic gold medalist demonstrating the techniques, is that all takedowns are going to be BJJ specific. 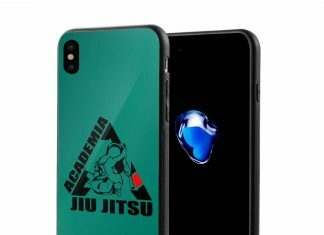 Cejudo is aiming to create content that’ll help Brazilian Jiu-Jitsu athletes utilize the very best wrestling takedowns. As such, you can expect this debut Henry Cejudo DVD to be a real gem and something you should start saving for right away! At the moment of writing, we understand that the Cejudo DVD is currently being shot. That means that in a few weeks time, you can expect it to hit the market, in both DVD and digital format. As soon as it does. we’ll provide you with a very detailed review right here! Who exactly is Henry Cejudo? After all most people only know him from the UFC. I doubt many grapplers actually know Henry Cejudo’s grappling background and his accomplishments. Granted, we all know what he can do inside the octagon, but MMA is a very specific environment to grapple in. We all know how important wrestling is for MMA, as people like Henry, Khabib, and others continuously demonstrate inside the octagon. But what about BJJ? Is Cejudo’s brand of wrestling and his takedown philosophy going to apply to the gentle Art? Let’s look at his background before the Henry Cejudo DVD actually comes out. Henry Cejudo was born on February 9th, 1987, in Phoneix, Arizona. He started wrestling while in high school and soon caught the eye with his enormous talent and incredible work rate. In 2006, Cejudo managed to win the American wrestling federation’s national freestyle tournament. This was a huge accomplishment for someone his age and opened the door to his Olympic career. He went on to claim various different titles in the US before stepping on the Olympic mats. In Bejing in 2008, Cejudo went through the best of the best in the world like a freight train. The freestyle wrestler dominated each and every opponent, displaying an incredible takedown game. Not long after his amazing victory, Cejudo decided he is going to retire from wrestling. Normally, he focused on using his world-class skills in the quest for different titles. 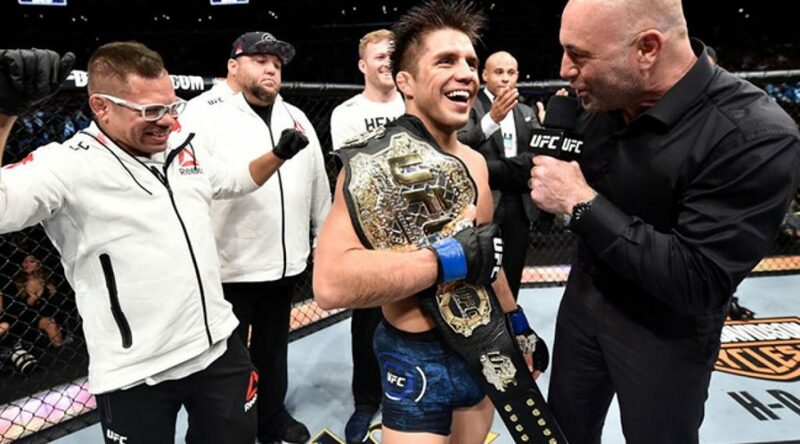 Before he faced Demetrious Johnson, Cejudo was undefeated in MMA, with a record of 10-0. Even today, his record is that of an impressive 13 wins and only 2 defeats. If history is anything to go by, Cejud is here to stay at the very top of the UFC. A Henry Cejudo DVD going over wrestling takedowns has the same value as a John Danaher leg locks DVD. If this comparison doesn’t bring things into perspective, you might not be in the right sport for you. That said, the one key characteristic of Cejudo that makes this upcoming DVD so special not an apparent one. It is not his Olympic and MMA experience, nor his technical ability that makes his DVD special. It’s actually his style of wrestling that excites everyone that knows something about grappling. Being a freestyle wrestler, Cejudo brings to the table the factor of unpredictability. Freestyle wrestlers are extremely athletic and explosive by nature. Plus they have the mentality of adapting to any new situation that arises during a match. On top of everything, you could argue that their technical arsenal is much bigger than that of wrestlers from other styles. Freestyle wrestling is actually really close to BJJ from a conceptual standpoint. Freestyle wrestlers take only the best techniques and are not afraid to modify and adapt them as they go along. What this means for a Henry Cejudo DVD is that it is going to bring to the table something completely new. So far, Cejudo went over all the Danaher DVD’s to figure out the best way to present his material. Expect a very well organized DVD, with incredible attention to detail. Furthermore, you can bet that Henry is going to talk a lot about concepts and strategies on top of deconstructing some of the most useful wrestling takedowns for Jiu-Jitsu. Seeing as his commitment and abilities are unquestionable, this upcoming DVD is going to be a real hit! Now that Henry’s DVD is finally out, we can see that we weren’t off with our predictions. Henry really did deliver an awesome product, one that’ll benefit all grapplers. His system is perfect for beginners, advanced students Gi only practitioners, No-gi grapplers, and even MMA fighters. The “Messenger” clearly doesn’t hold back and has an incredible teaching style. His knowledge for takedowns and wrestling is unrivaled by any, and he delivers it in a very precise and understandable manner. There are 4 volumes in total, where Henry offers insight into the finer details that make takedowns work in real-time under stress. The UFC champ starts off very basic and focuses on body mechanics before going into specific techniques. He also pays a lot of attention to distance and how to maintain and/or shorten it. He also teaches a few counter-attacking takedown setups, as well as a host of efficient bottom position escapes. Finally, he goes over how to control opponents from the top position once you have them down. Kicking things off is Henry’s philosophy on how you should stand when you’re thinking about takedowns. The stance is the foundation of any successful takedown attempt, as you’ll learn in this Henry Cejudo DVD. Cejudo doesn’t just explain stance but also covers motion as well. he outlines how to attack directly, as well as by using fakes in order to create superior angles. A key component of the first volume is hand fighting, or as Henry refers to it “making contact”. This is integral in any grappling exchange, and in particular, in a takedown battle. Complementing hand fighting principles are Cejudo’s level changes and penetration concepts. These are really important to understand as they feature heavily throughout the second volume of the DVD. 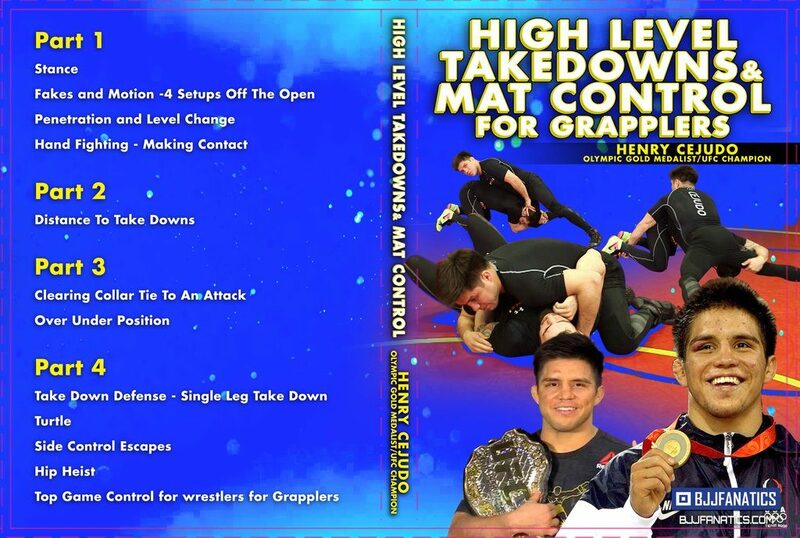 The most important part of the “High-Level Takedowns And Mat Control For Grapplers Henry Cejudo DVD is definitely the second volume. It contains only one chapter – distance. This in itself, demonstrates how important this concept is when you’re trying to execute high-level takedowns. There are three things you’ll learn in this section of the Henry Cejudo DVD instructional. First, you’ll understand what distance is and how it relates to your stance and motion. Second, you’ll learn how to use fakes and level changes to penetrate and shorten it for successful takedown setups. Finally, you’ll learn the basics of distance management. Thisemasn you’ll be able to control the distance in a manner that prevents your opponent from taking you down. At the same time, you’ll be able to go into your takedown attacks at will, by following Cejudo’s concepts and principles. The third volume is another one containing integral takedown advice from one of the world’s best. here, Cejudo covers the over/under position and all the opportunities it offers for control and takedowns. However, before he goes into it, he coves a few ways to deal with collar ties so that you can set your attacks up. If you’re ever up against a wrestler, this information is going to be crucial if you want to succeed in anything but guard pulls. The over/under position is one of the staples of wrestling, and also a very underutilized position in BJJ. This means you can use it to surprise most opponents, even those taht have experience with it. It is a very useful tool to use against Judokas who like to maintain a high pisture when grappling form the top. Henry covers a bunch of ways of establishing it, holding it and attacking from it. The inaugural Henry Cejudo DVD ends with a volume dedicated to ground fighting. Here, Henry goes over a few ways to escape when you’re on the bottom. Examples include hip heist concepts, side control escapes and getting out of the turtle. He also covers a few essential takedown defense principles that are applicable against most takedowns you’ll encounter. In the second part of the final chapter, Henry also covers a very important aspect of Jiu-Jitsu – top control. No matter how good you are at takedowns, you’ll only get tired if you do not know how to follow them up with ground control. As you might’ve seen in his championship fight against Demetrious Johnson, Cejudo is the best at keeping people ion the ground. His concepts of top control work in all facets of grappling, and particularly No-Gi BJJ.